As noted previously in these pages, World War I was not only waged in the trenches of Europe. 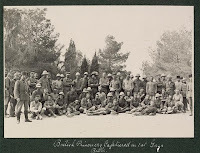 Major military campaigns took place in the Middle East between 1915 and 1918, and large-scale battles raged from the Suez Canal, through Gaza and Beer Sheva, up the mountain slopes to Jerusalem, down to Jericho and the Dead Sea, and north to Damascus. 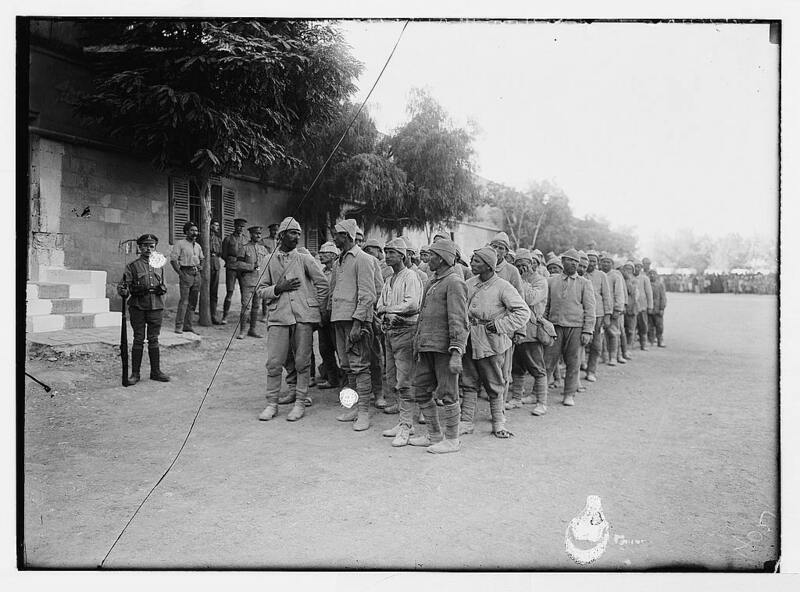 The Turkish forces were led by German officers and reinforced with Austrian troops. The British forces also included troops from Australia, New Zealand and India. Classic 19th century battle tactics such as cavalry charges were still used, but new forms of warfare were also deployed, including aerial bombardment and the use of tanks. Incredibly, the photographers of the American Colony had access to both sides of the battles. 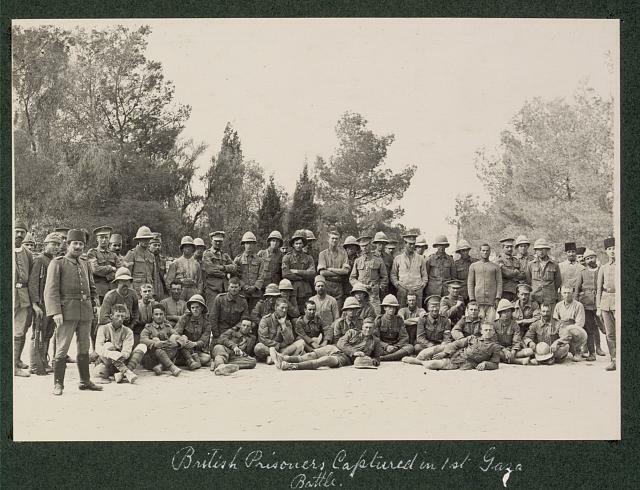 After failed British attacks on Turkish positions in Gaza in early 1917, a newly reinforced British force, now under the newly appointed Gen. Edmund Allenby, consisted of some 88,000 troops. The battles in the Middle East resulted in an estimated 500,000 casualties on each side. Thousands of prisoners were taken by each side, and their plight was recorded in the Library of Congress collection. Click on the captions to see the original photographs.